I wasn’t going to blog today; I have had some serious issues with my brain lately taking photos, so I didn’t have anything to show you (unless you want to see me with three hands…long story!) But then, as I was reading my friend Cao’s blog today with my cup of coffee (my early morning ritual), I decided to create this little graphic to share. You see, Cao has declared February 13th “Crustimoney Proseedcake Day“. Click over to her blog for the inspiration, but in short, on this day you are asked to create a note card in world with the words, “I want you to know I think you are…” and list three positive things. Then pass it out to as many friends as you choose (Cao suggests ten). 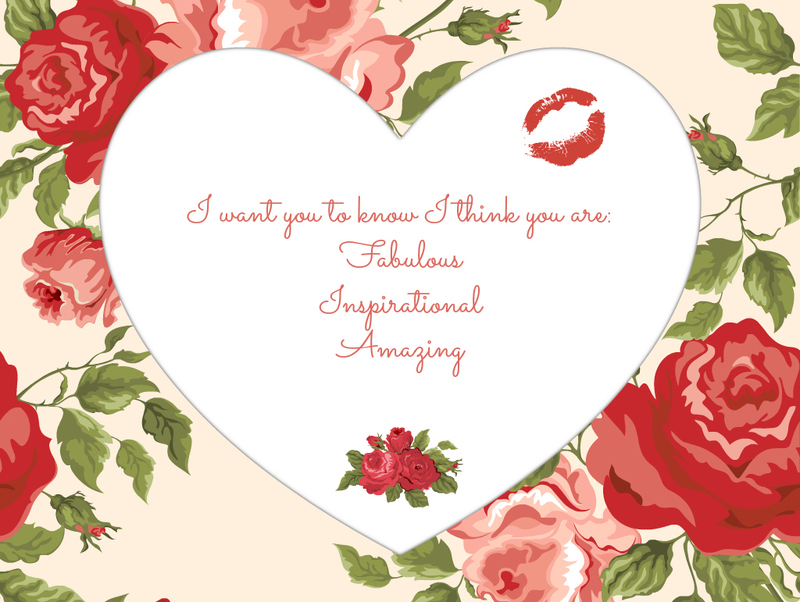 Since it is already the 13th here on my side of the world I decided to put a little spin on this and share it on my blog where each and every one of you who stops by knows that I think you are fabulous, inspirational and amazing.